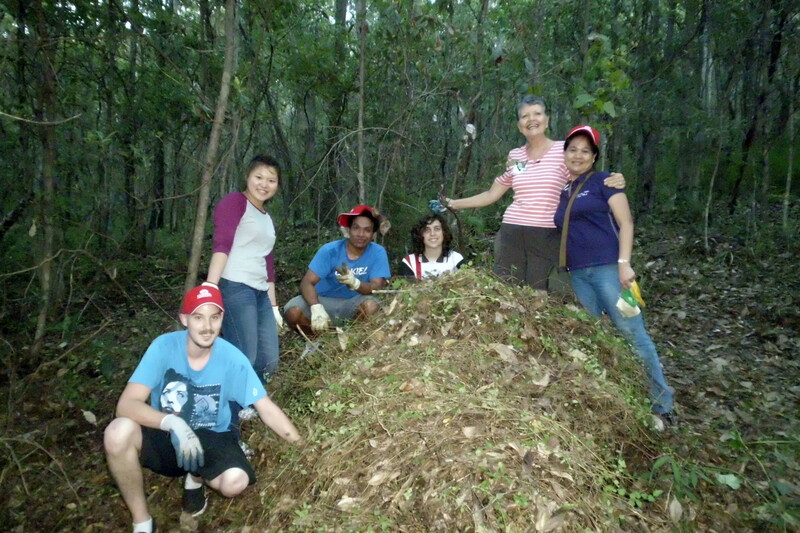 Griffith students roll up the weeds! We are pleased to welcome back Griffith Uni students to our Wednesday afternoon working bees where they are providing such great support in our bushland restoration work. 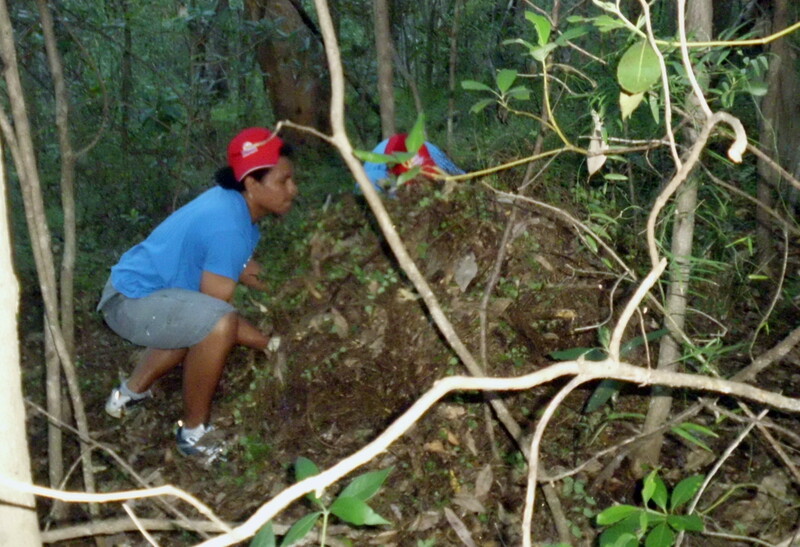 We continue clearing Queensland Class 3 weed, Creeping Lantana Lantana montevidensis. It has grown into thick ‘carpets’ through much of our local bushland, suffocating native vegetation as it takes over. It reproduces by seed that are dispersed by birds and other animals as they eat the fleshy red/purple fruit or it can become established in bushland from dumped garden waste. It spreads across the ground laterally, sometimes rooting at stem joints, forming a carpet smothering native plants. Rather than poison these weed ‘carpets’ we are digging them out preserving the surviving native plants while allowing the native seed bank space to germinate and grow. Later, this option will save a lot of effort replanting and watering. Tekee took on a particularly thick infestation and, with Jonny’s help, was able to roll up the ‘carpet’ and move it into a heap, where it will break down into mulch. Shasha and Maria-Dolores didn’t let the guys take all the credit though: they created their own huge weed piles. Great teamwork everyone … thanks!